We have 19 rooms and apartments at the resort, with a relaxed atmosphere, and quiet location that is complimented by a breathtaking view of the Atlantic Ocean. 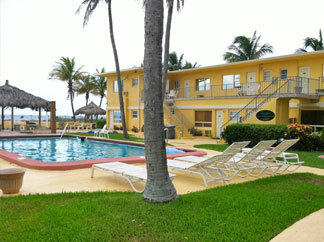 Heated Pool~Shuffleboard Courts~BBQ Grills~Lounge Chairs~Free Parking. Studio-efficiency and One Bedroom Apartments include a full kitchen. 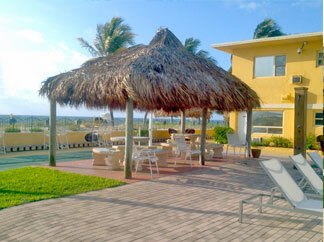 Inquire about discounts for Group Rates & Weddings On The Beach Packages Beach-Bonfires available upon request.